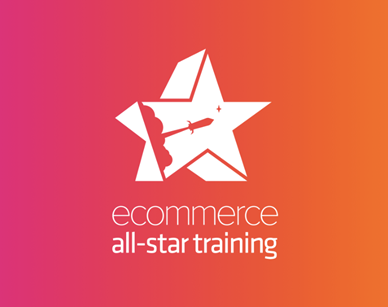 Our Hand Picked Team of All-Stars has helped 1000s of people start, scale and optimize their ecommerce businesses. Imagine what they’ll do for you. The experts teaching you in this course are not “Gurus”, they own and run their own 6, 7 even 8 figure stores. At the end of this course you will have the foundation, structure and knowledge to build or massively grow your own profitable store. You’ve seen other stores seemingly make thousands from their campaigns but you struggle to make a sale at all from yours. With the best Facebook experts in the industry right here, learn the exact methodology behind winning copy, design, and strategy to scale and test like never before. There are plenty of “Gurus” willing to help you create something that’s a flash success, here one month, gone the next. We’re here to help you build a brand that will not only last but allow you be in a position to sell that business in the future if you wish to do so. This isn’t one of those things where you’re getting half the picture then you buy the other half later down the line. We’ve worked tirelessly this year to pull together the best of the best in each area to bring you the whole picture, the A to Z, nothing left out, nothing to up-sell and no broad strokes. Everything you need to make this a success is included. From day one you’ll be invited into a closed group of like minded individuals that are going through the same journey you are. There’s nothing worse than having a question with nowhere to ask it but that won’t be the case here. You’ll also have lifetime access, so when you reach your goals you have the opportunity to pay it forward and help others do the same! You can have the most beautiful store, the best products and the best prices. But if nobody knows you exist then what’s the point? You will learn not only what channels are working best but how to master each of them, from Google to Facebook and Influencers. We have you covered every step of the way. Something you may not have seen done before is single product funnels. Learn how to create not only a store that sells but funnels to drive traffic to that convert like crazy. The art of cross-selling and up-selling truly is an art and after this you can consider yourself Picasso.